They are the most amazing photographers on the planet! We live out of state but got married in Cleveland. They drove 6 hours to Louisville, KY JUST for our engagement session. Shawn and Jenn are amazing as a team, and people. They listened to every crazy thought or idea I had and said “yep, we can do it”. And they’re SO much fun to be around! The week of our wedding I asked them to extend our day by 2.5 hours and their response was “absolutely!” I’m not sure I’d feel the same way if someone extended my already 8+ hour workday. They were so kind and so happy to do it. Our wedding photos...ladies. The most beautiful photos we have ever seen! They captured every single moment and did it with such beauty, class, and elegance. The best part? They really took time to get to know me and my husband. I had no idea where to select for offsite pictures, and just by getting to know us and our personalities they picked out the most PERFECT locations! If I could, I’d shout out how amazing they are and how amazing their work is from every rooftop in the city. We are so lucky to have them as our wedding photographers! Shawn and Jennifer are so amazing!! We are so lucky to have them as our wedding photographers! They went above and beyond for our engagement pictures session and made the experience so comfortable and fun! We were also blown away with how quickly we got our engagement gallery back & the pictures came out perfect! I can’t wait for next September and to have them be apart of our big day. I HIGHLY recommend booking them for engagement / wedding pictures! You will not regret it! They're work was impeccable from start to finish! My husband and I will never be able to fully express our gratitude for the incredible work of Moreau & Company Photography on our special day and the days leading up to it. They're work was impeccable from start to finish! We fell in love with their work when viewing their portfolio, but even from the initial email inquiry we could immediately sense we would enjoy working with Jennifer and Shawn - they are highly professional while still being approachable and fun. 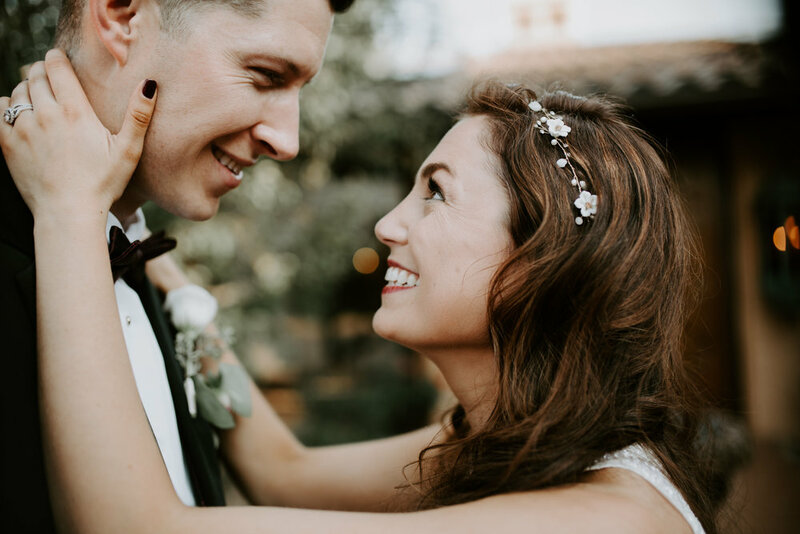 They were always incredibly timely when responding to correspondence which is unbelievable helpful when planning a wedding (brides-to-be you know what I’m talking about – the vendors you have to hunt down for an email or phone response). They were patient and understanding whenever we had questions or needed clarification – always responding quickly, warmly and with great detail. The website they use for their contracts, payment procedures and questionnaire is very user-friendly while being highly detailed - leaving out any guess-work regarding the logistics of the business aspect of the agreement. This reflection might seem very dry and un-exciting when talking about a wedding photographer, but given some of my past experiences with individual vendors and contractors who can have a tendency to be scattered, chaotic and unprofessional, all of this was incredibly reassuring and left a great impression! Now let’s talk about their artistic work – in a word, UNBELIEVABLE!!! We could not have asked for a better pair to capture all the special moments of our wedding day. From the posed pictures to the candid shots, Jennifer and Shawn work together so beautifully to provide some of the highest quality photography on the market. They were so easy to work with on the day of the wedding – our families and wedding party members loved them! They were fun, easy-going and just all-together a blast to have around! When it came to candid shots, we were blown away with what we saw after the fact. Jennifer and Shawn have this way of sort of becoming incognito and yet you trust them completely – and it pays off! The tender, light-hearted, precious and sometimes crazy moments they captured when we weren’t even paying attention are some of our favorites photos. Truly, we cannot say enough good things about Jennifer and Shawn. We are so grateful to have found them and we will forever cherish the memories they captured for us. Thank you, thank you, thank you – thank you a million times over! Jennifer and Shawn are A-MAZ-ING. If we could give them a million stars we would!!! When they say candids are their thing, they mean it. If I could give 10 stars, I would, Jenn and Shawn Moreau are fantastic (and that is coming from one OCD bride!). From the first inquiry email, to the download of our photos, they were with us every step of the way and made it so easy. When looking for a wedding photographer, we wanted someone we were comfortable with and genuinely liked as people. (They are strangers coming to be a part of one of the most important days of your life afterall!) Shawn and Jenn not only are the coolest couple to work with, but they really listened to what we wanted, made a killer team, AND most importantly, take some phenomenal photos. When they say candids are their thing, they mean it. My husband and I were so overwhelmed with the quality and emotion they captured in the photos and now we can relive those moments over and over again. I wouldn’t just highly recommend Moreau & Co., I would insist on Moreau & Co.! If I could give Shawn & Jenn 6 stars, I would! They are absolutely incredible people to work with. Wedding planning can be stressful, but their process was so great from start to finish. They laid out expectations and timelines so there was no confusion and made our lives during the planning process easy. The pictures are GORGEOUS! I love them all and couldn't be happier with my choice of a wedding photographer. Jennifer and Shawn were the best photographers ever! They were super easy to work with--very responsive and professional at all times. They were super sweet and even sent little gifts in the mail to let us know they were excited for our big day. And of course, the pictures are GORGEOUS! I love them all and couldn't be happier with my choice of a wedding photographer. If you are in doubt, just look through the galleries on their website to see the loveliness that they portray in all their work. They did not disappoint! We are very happy we used Moreau & Company to photograph our wedding! Shawn and Jennifer were professional, kind, and easy to work with. Furthermore, they are fantastic photographers! We are beyond impressed with our photos and love the little moments and emotion they captured! You would be making a HUGE mistake if you didn't hire Moreau Co. for your engagement shoot or wedding. As a photographer myself, I can confidently say that Jenn and Shawn are simply outstanding at what they do. From beginning to end, they are helpful, accommodating and most importantly fun! They're willing to do anything to get the best shots, they're patient, and we legitimately had a blast with them. After we got the final prints back from our engagement shoots, we knew immediate we wanted to hire them again for our wedding. Thanks again Jenn and Shawn! If you need a wedding photographer in Colorado or Ohio - HIRE JENNIFER AND SHAWN!!! All I can say is if you need a wedding photographer in Colorado or Ohio - HIRE JENNIFER AND SHAWN!!! They are not only wonderful to work with, but they are so thoughtful and take the most incredible photos! For my husband and I, the most important aspect of our wedding was the pictures, so we wanted to have a photographer that we truly trusted to provide us the most amazing photos and after stumbling upon Moreau and Company's website on The Knot, I knew that they were the photographers for us (especially after I read their "about us" page and Jennifer described herself as part Joanna Gaines, Monica Geller, and Lorelai Gilmore). And they absolutely did not disappoint! Our pictures are absolutely incredible and I can't say thank you enough to Shawn and Jennifer. They are already booking into 2018 so BOOK THEM NOW! My husband and I have found the most amazing wedding photographers in Moreau & Company. Jennifer and Shawn are very professional, extremely talented and had a way to make us feel at ease on our wedding day. We also had an engagement photoshoot scheduled with them a few months prior to our wedding day. I am very happy that we did the engagement shoot because we got to know each other a little better and it was almost like a practice round for the wedding. Moreau & Company did a fantastic job editing our pictures and the pictures were finished rather quickly. I have recommended Moreau & Company to friends and family whom are looking for a great photographer. I feel like I have made life long friends with Jennifer and Shawn and I am so happy that we were able to share our day with them. Moreau & Company was a fantastic choice for our wedding photography! Jenm and Shawn did an amazing job shooting our outdoor wedding. I had a lot of trouble choosing a photographer when we were planning our wedding and was pretty overwhelmed by all the choices. I found Moreau and Company on the Knot and thought their work was absolutely stunning. They take amazing and beautiful shots and I think they were worth every penny. They were both extremely easy to work with. And they were the perfect blend of laid back and take control. Our bridal party group was challenging to organize for pictures and Jenn and Shawn were able to take control of the situation and direct everyone so that I did not have to stress. Overall, my husband and I are extremely happy with the results of our wedding photos. I would recommend them to anyone. If you are getting overwhelmed choosing a photographer, look no further because Moreau and Company is awesome. Jen and Shawn, we cannot thank you enough for our beautiful wedding photos, definitely everything we wanted and more!